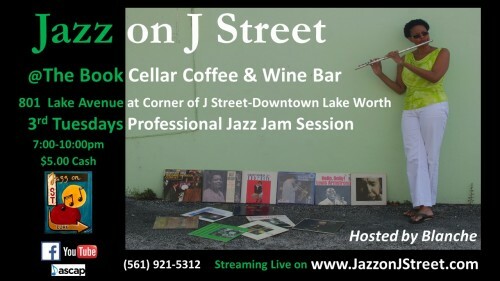 Jazz on J Street happens monthly, every 3rd Tuesday from 7-10pm. Join us at our NEW LOCATION -- The Book Cellar Lake Worth located at 801 Lake Avenue (the corner of Lake Ave and J Street). $5 cash cover. Free parking.